Roasted to perfection in Corn Oil then lightly salted. 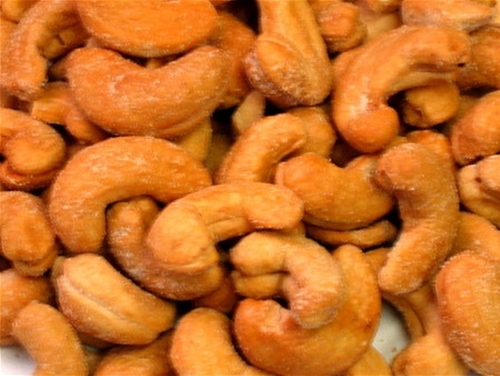 These imported cashews (SIZE #320) from India are delicious with creamy flavors that delight the senses. Indulgence with these are known to spoil a loved one. You just can't stop with these really big cashews. Eat alone or mix with other nuts.